On February 21, students from the University of Iowa started a movement on social media with the hashtag #DoesUIowaLoveMe. This movement started after the University of Iowa began a social media campaign to celebrate the 172nd birthday of the university using the hashtag #iloveUIOWA. The hashtag #DoesUIowaLoveMe was used by students, staff and faculty that felt unsupported by the the university. This group of people shared on the Twitter account, @doesuiowaloveme, “Our intention was to build a coalition with the mission of cultivating and promoting a platform that allows underrepresented students to speak their truth and share their experiences. We encourage students to utilize the hashtag “#DoesUIowaLoveMe” to share their stories and experiences of mistreatment, discrimination, and inequities.” The movement had a wide impact on social media, hundreds of tweets were sent with the hashtag and there were some related posts on Instagram. Here at DMACC I asked a few students how they felt about the situation at the University of Iowa and all of them felt that it is a situation that administration needs to address and that it is great that the students are speaking up and taking a stand. “Students are speaking out more and more about it which is awesome! I feel like the University should do more,” said Jedediah Bohn, a DMACC freshman studying liberal arts. Students at the University of Iowa felt they were underrepresented and did not have a voice, DMACC students were split on how they felt about minorities having a voice here. 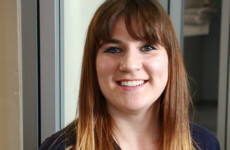 “I feel like DMACC really specifies on equality and on our differences that make us unique. So far I have not seen any racial tension. I think that DMACC does a phenomenal job on that,” Bohn said. 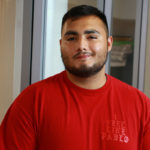 Julio Delgadillo, a sophomore liberal arts student transferring to Iowa State University this fall, felt differently about the issue. “I just feel like the minority population is a little low [in Ankeny], drowning out a little bit of the minority voice making it seem like we kind of don’t have one. If we had a group here then possibly we could have a little bit more of a voice here on campus … it is just awkward to speak up in classrooms where it is 99 percent white people,” he said. Linda is also a second year liberal arts student at DMACC and she spoke about how it can be uncomfortable to be a minority in the classroom, specifically history classes because minority views tend to be perceived differently. She said she felt if she spoke up then people would think she is just “over reacting and taking things out of proportion.” Delgadillo talked about an experience he had his freshman year at DMACC in his engineering class. The professor asked students why they took the class and one student said, “I want to be an engineer so I can build a more advanced wall so that they can stop digging underneath.” Delgadillo said he was stunned by what his classmate said and when it happened he did not know exactly what to do or how to respond. Collectively, these students said they thought creating a program or group for minority students at the Ankeny campus would make students feel more included on campus and acquaint people who have similarities on a campus where they stand out. DMACC President Rob Denson spoke about the issue at the University of Iowa and said that Iowa needs to celebrate diversity. Denson noted the diversity at the DMACC Urban Campus and that DMACC is all about being inclusive to all people from different walks of life. His main goal is to give students the tools and preparation to get to DMACC, to be successful while on campus, then follow through to graduation. DMACC seems to be experiencing minimal issues compared to the University of Iowa situation but that does not mean nothing is happening here. If there have been issues you have experienced then speak up. All issues should be dealt with even if they happen on rare occasions.